In the meantime I started work on version 1.2.0, the main new feature being support for responsive design. It will probably be released in the 2nd half of July, unless you want to beta-test that is. 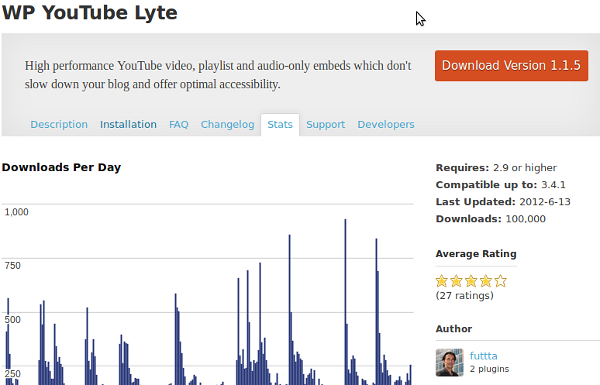 This entry was posted in Internet, lang:en, wp-youtube-lyte and tagged 100000 downloads, performance, responsive design, wordpress plugin on 8 July 2012 by frank.